Thinking about doing some odd jobs around the house on the weekend? 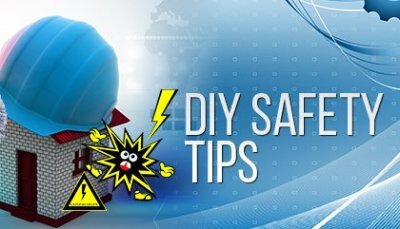 If you’re thinking about doing-it-yourself (DIY), you should seriously consider some important safety precautions. Safety gear & equipment: wear closed-in, appropriate footwear and clothing, and for certain messy jobs – eye protection, gloves and breathing masks. Ventilation: to prevent illness from fumes and other building materials, ensure the space you are working in is ventilated. Containment: try to contain fumes, waste and dust by covering floors with plastic sheets and sealing off areas not being renovated. Children and pregnant women should stay away from the work site for safety, and to prevent injury or illness. Electricity and gas: only certified professionals can undertake gas and electrical work, so please steer away from DIYing in these two areas. DIYing can be both challenging and rewarding, but taking proper safety precations is an absolute must.